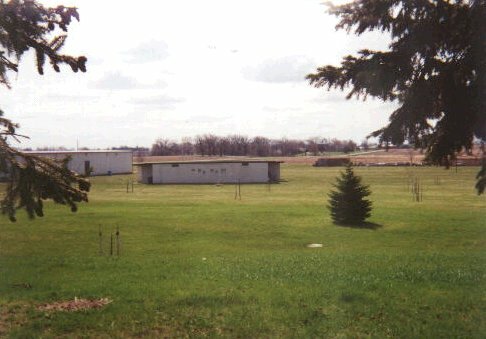 This drive-in theater stood about 2 1/2 miles east of Beaver Dam on Highway 33. I can remember going to this theater when I was a kid and seeing a number of movies there. The last two movies I remember seeing there was the double feature of Superman 2 and Smokey and the Bandit 2. All that remains of this once great theater is the projection booth / concession stand building, and the two entrance / exit roads. The screen, fences, speaker poles, and playground are all gone. A solitary speaker pole stands in front of the building. The projection / concession stand building is in good shape and has been kept up nicely. Another building also resides on the property that was added after the closing of the theater. Grand opening June 15, 1951! 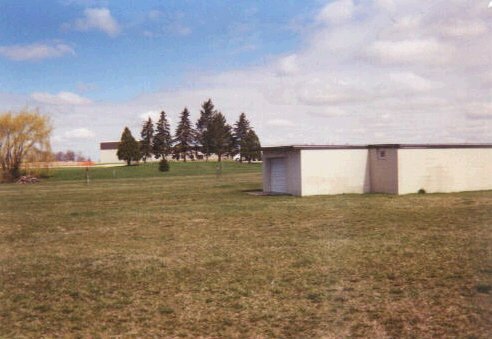 The projection / concession building from where the screen used to stand. 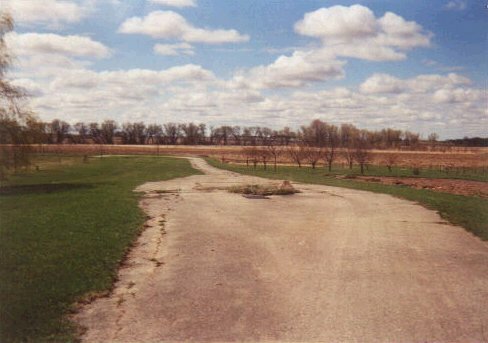 The entrance road and the foundation of the ticket booth. 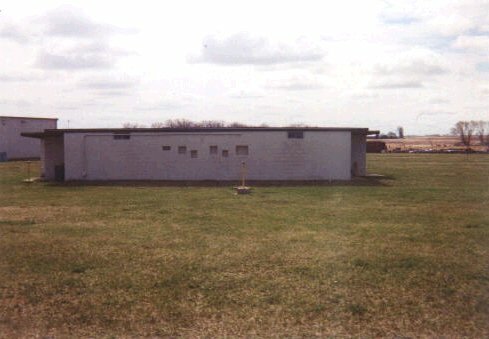 The projection / concession building. The screen once stood in front of the pine trees on the hill.